Plate XXIII / A. Relations of pyrite and siderite in Tonopah andesite. Drawings from thin sections. 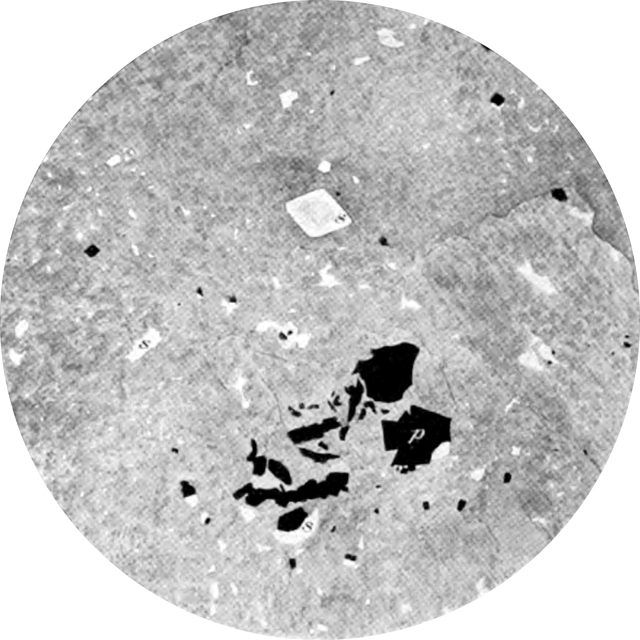 Rhomb of cloudy siderite (s) associated with contemporary pyrite (p); earlier andesite, Fraction workings. Incident light. Magnified 11 diameters.